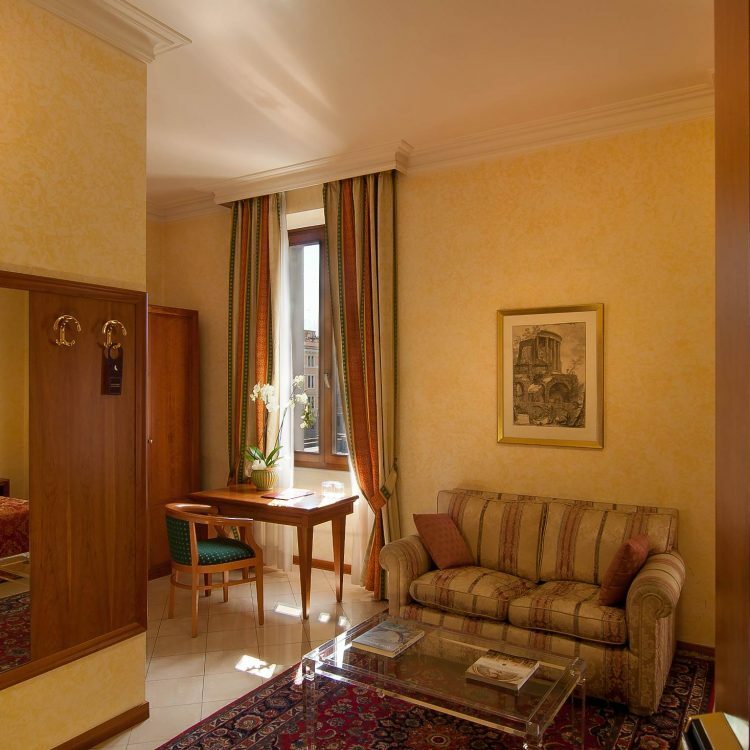 With only 35 rooms, the Residenza Paolo VI is a small boutique hotel of the new generation, with a pleasant warm atmosphere and a friendly personal service. 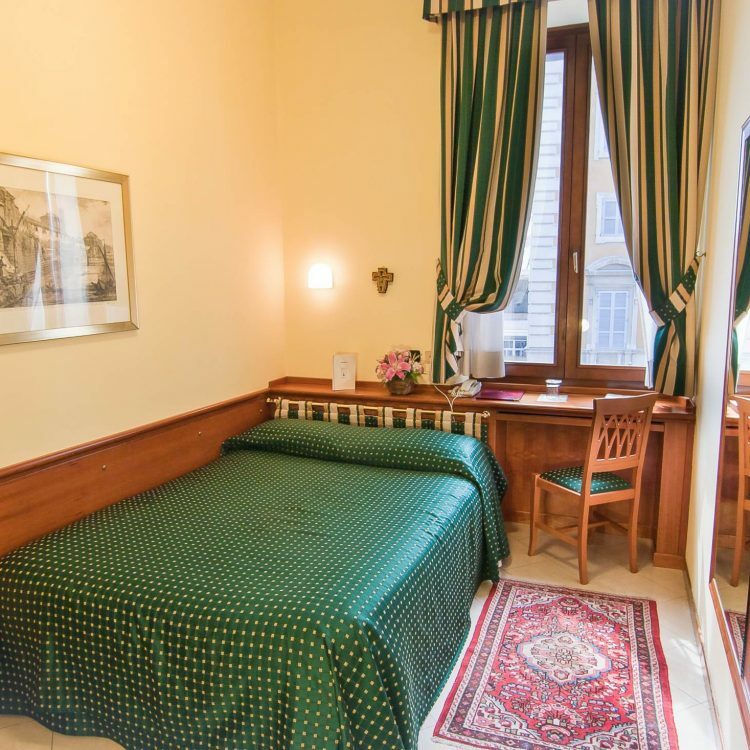 Our house offers French bed rooms, double rooms and triple rooms. 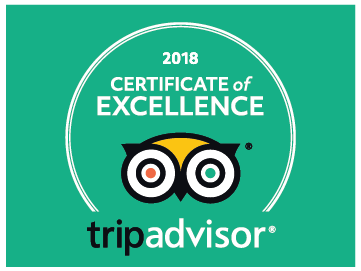 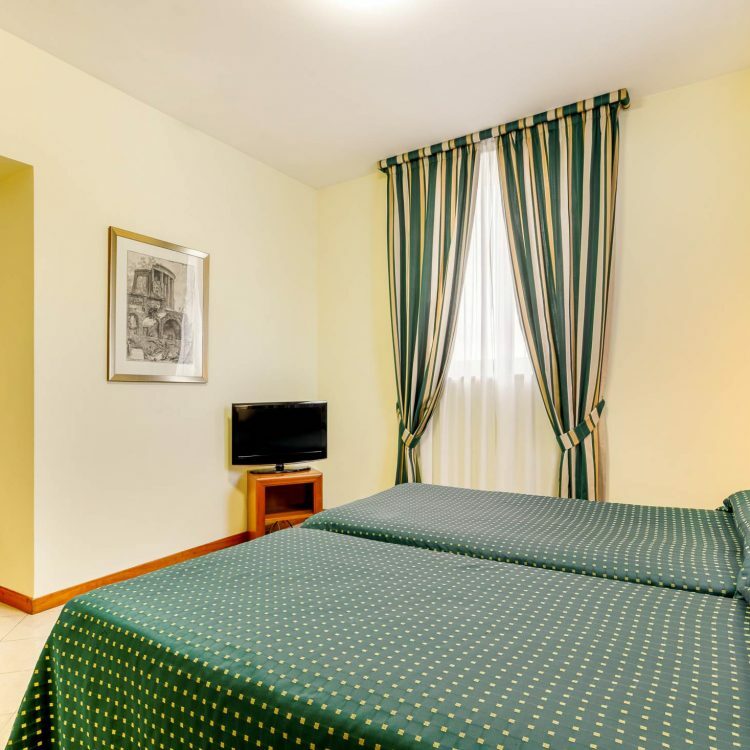 For a more comfortable stay we recommend to book our deluxe rooms. 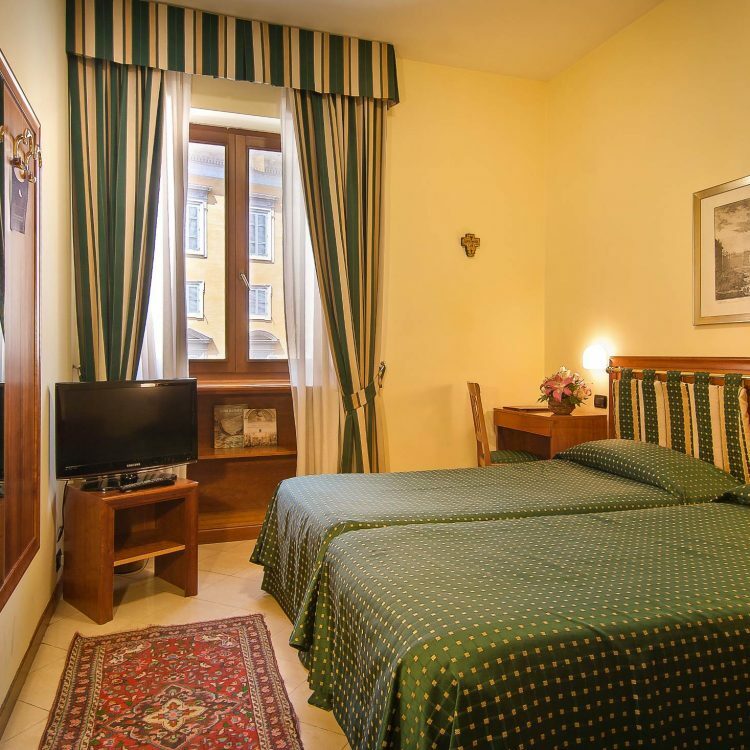 Who instead is looking for an exclusive accommodation with stile, our elegant Junior Suites with spectacular view to the Dome of St. Peter’s (Vatican) are offering the ideal set. 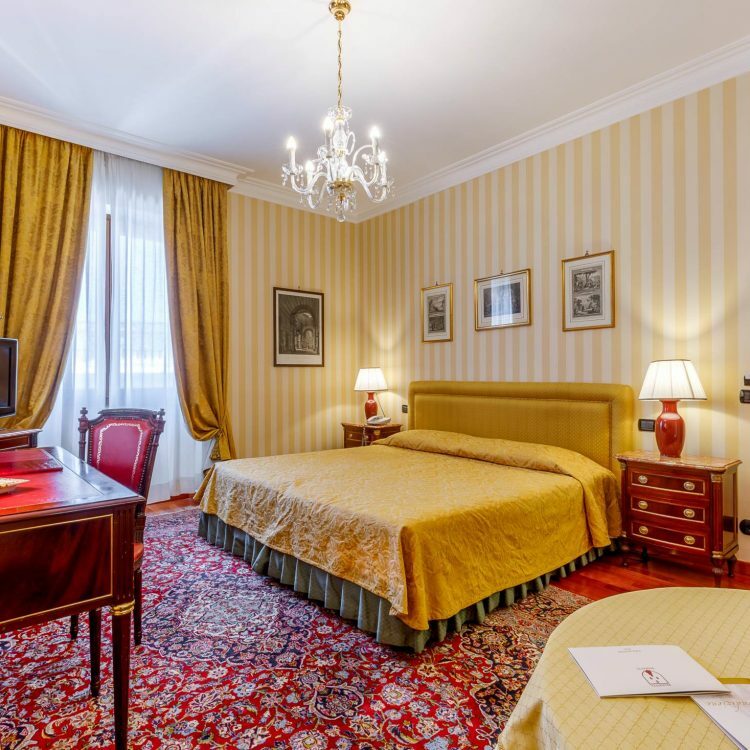 On the second floor of the building, we have created a new room category, the “Deluxe Superior rooms”. 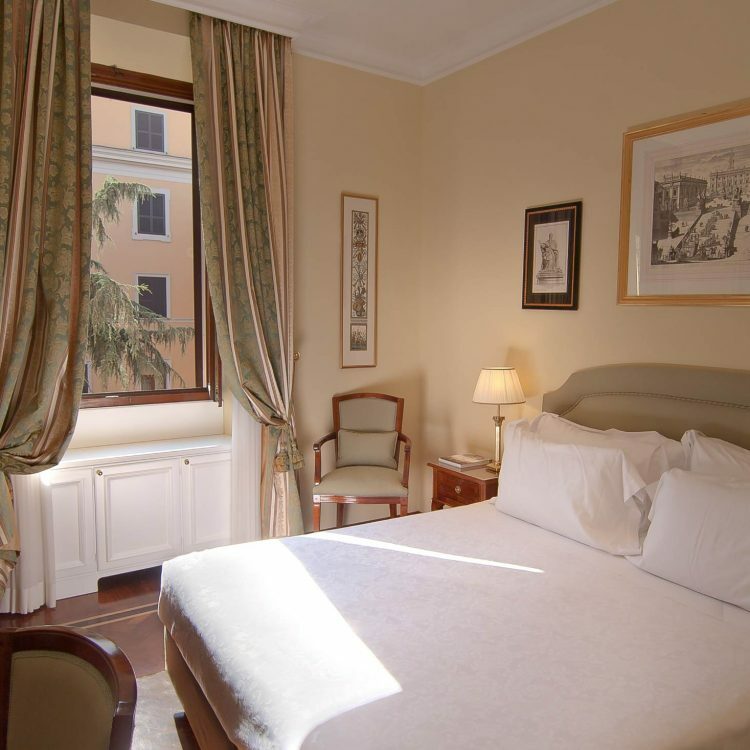 The 6 rooms, located on our “Beletage” (Piano Nobile), with a separate entrance, are very quiet and facing to the courtyard.